Malta’s economy continues to outperform that of many of its peers although growth is likely to taper in the coming years, Fitch Ratings have said in a report which reaffirmed the country’s ‘A+’ rating and stable outlook. Analysts with the rating agency highlighted the country’s “very favourable” debt dynamics, with public debt down to 47.3% of GDP and expected to fall to 41.7% by 2020 an 26.7 per cent by 2028, and GDP growth which has “continued to suprise” and “not led to overheating”. They nevertheless predicted that infrastructure bottlenecks, real estate and labour market constraints leading to higher rents and wages would dampen growth in the years to come. The rating assessment was undertaken by request from the Maltese government, which earlier this week disclosed in parliament that it had paid rating agencies €230,000 last year. The disclosure came in reply to a parliamentary question. In their report, Fitch analysts said they expected tax revenues to fall as a share of GDP due to a one-off impact of a new EU directive on eVAT revenues, and also foresaw a gradual decline in the relative imporance of income from passport sales. That revenue stream provided 2.2 per cent of GDP in 2017 but is now expected to fall to 0.9 per cent this year. Higher capital expenditure reflected an increase in the use of EU funds with a focus on roads, environment, health care and education projects, Fitch said. Fitch analysts noted that a disorderly Brexit could disrupt the Maltese economy, since roughly one in every four tourists – 24 per cent – came from the UK. Four years ago, that figure stood at 32 per cent. Inflation is expected to rise slightly to 2 per cent in 2020, while the rise in property prices appeared to be moderating, with a 5 per cent increase registered in the third quarter of 2015, when compared to an 8.6 per cent increase three years prior. Malta’s small and very open economy left it vulnerable to external shocks, the ratings agency noted, but Maltese banks “remain sound and well capitalised”. Analysts noted that Pilatus Bank has had its licence withdrawn by the European Central Bank and said that the Maltese government was in the process of implementing recommendations made by the International Monetary Fund and European Bank Authority to improve anti-money laundering processes. It was not all good news, though. While Malta outperformed many ‘A’ rated peers, analysts also noted that the country has slipped down the World Bank’s voice and accountability index and did worse than average when ranking the ease of doing business. 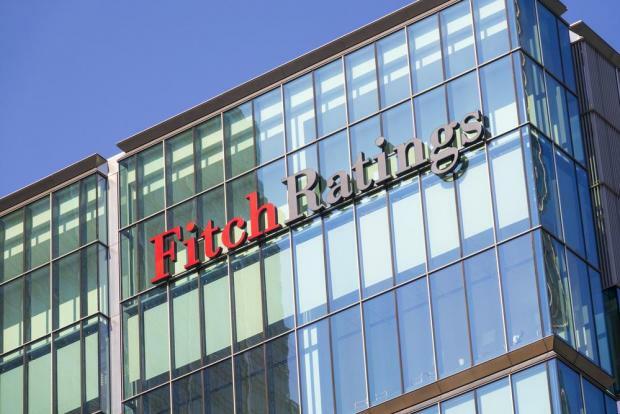 In a statement, the government said that contrary to the Opposition’s line of argument, Fitch had found that “Malta outperforms the ‘A’ median on the World Bank human development and governance indicators”. In another statement, Finance Minister Edward Scicluna said the ‘A+’ rating by Fitch following Moody’s ‘A3’ grade earlier this week, continue to strengthen our view that the government’s strategic vision for our country is being "accomplished”.